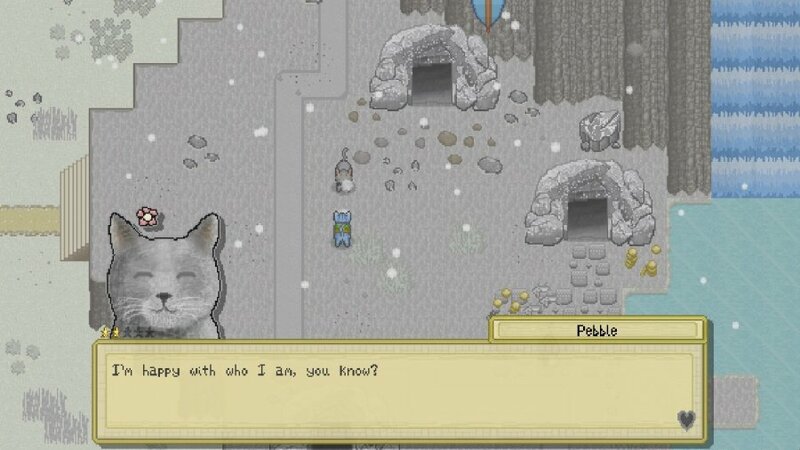 Almost a year to the day after launching on Steam, Cattails – an RPG from husband-and-wife team Falcon Development – now lands elegantly on Switch. Upon christening your mog, you’re abandoned by the roadside until a friendly stray named Coco takes pity and enlists you in one of three colonies. With rival gangs and turf to defend, it’s all a bit West Side Story at first, but there’s surprising depth to its systems and, ultimately, it’s a calming, restorative game that stands its ground against the big boys in the sit-down-with-a-nice-cuppa genre – we’re talking the Stardew Valleys and Animal Crossings of the world. Not bad for a scrappy upstart hobby-turned-Kickstarter project. When you’re not being catty with the competition and tussling over who holds political sway, you’ll be picking fragrant flowers, collecting trinkets and building relationships – there’s even romance in the air if you’re into that sort of thing. Imagine Animal Crossing-lite with XP and different factions competing to dominate a larger territory and you’re in the ballpark. The world map shows tiles, each with a bar indicating the balance of power in that region. Days and nights pass, seasons change but rivals show up constantly to challenge your authority. Defeating these interlopers with claws and comrades earns you XP and ‘Mews’, the cat-world currency. Hunting, fighting, swimming and foraging skills can be improved, with XP cost increasing with each upgrade, while more powerful ‘active’ skills with cooldowns (including temporary speed boosts, warping or the ability to call for assistance or heal your allies) must be equipped in your den, where you’ll also return to save and get some shut-eye. 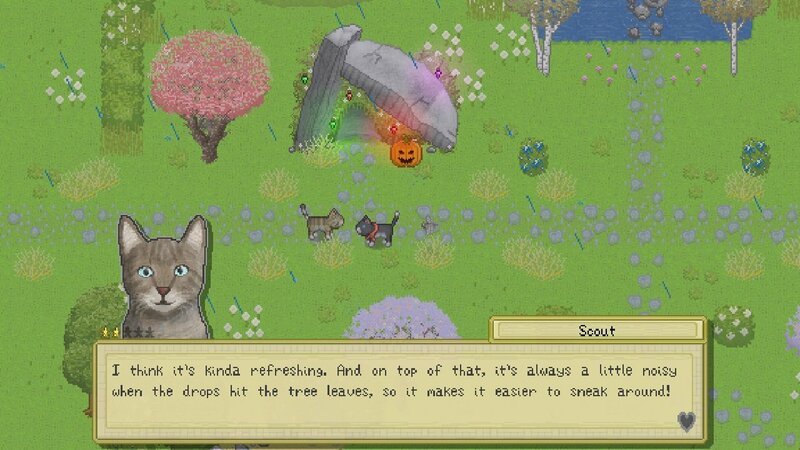 You can chat with any non-hostile feline you fancy and curry favour by gifting them foraged items. Holding ‘ZL’ puts you into a crouch enabling you to creep up on small prey like mice, rabbits, frogs and the like, tapping ‘ZR’ to pounce at the right moment. 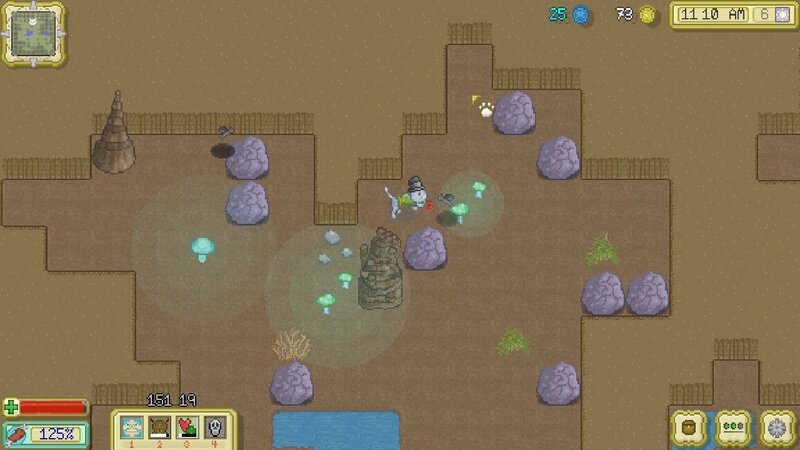 Nabbing the blighters can be tricky, and we quickly pumped XP into the hunting skill to make life easier. You’ll need to get good at catching critters – your existence depends on it. Health and hunger are two separate meters; eating animals or scavenged goodies will fill your stomach, but health is restored by using specific plants found in the wild, sleeping in your den or visiting the colony doctor and splashing some hard-earned Mews. Selling your wares or defeating rival gangs helps bolster your wallet. Lose all your health in a scrap and you’ll be revived back in the colony, minus all your loot. 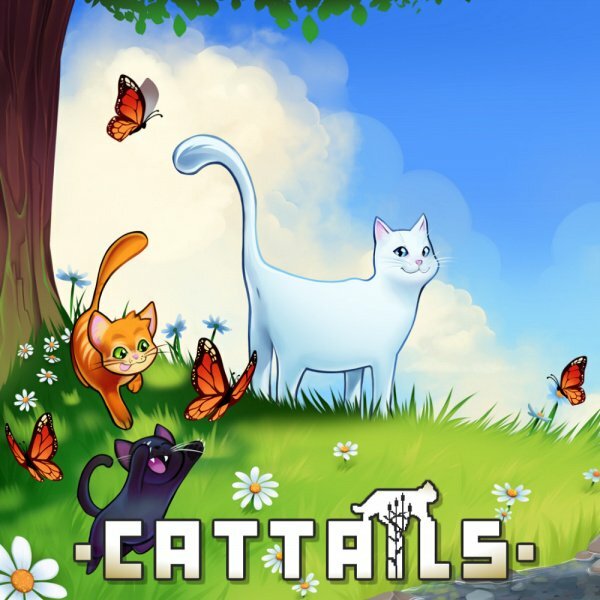 All of this makes Cattails sound like a cutthroat survival game filled with depleting gauges and the constant stress of invasion, but it’s actually a calm, disarming experience. Donating gifts to other colonies grants you access to their areas and a sacred temple in the centre of the map houses six ancient pillars; make enough offerings and the possibility of forming your very own colony unlocks. The tranquil soundtrack also sets a peaceful tone and meandering across fields, offering little gifts to your buddies and participating in pumpkin carving or turtle racing at the festival games are relaxing alternatives if scratchy combat doesn’t interest you. 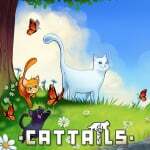 Cattails is as chill as you want it to be, and you can change the difficulty any time. New pelts for your cat or swanky den upgrades courtesy of Molby the (you guessed it!) Mole provide customisation options, enable you to woo a mate and, potentially, fill your den with kittens. Of course, not all cats are marriage material, but ply Mr/Mrs Right with enough dead rodents and berries and you’ll increase their star rating, enabling you to date – it’ll take more work if you want to pop the question. 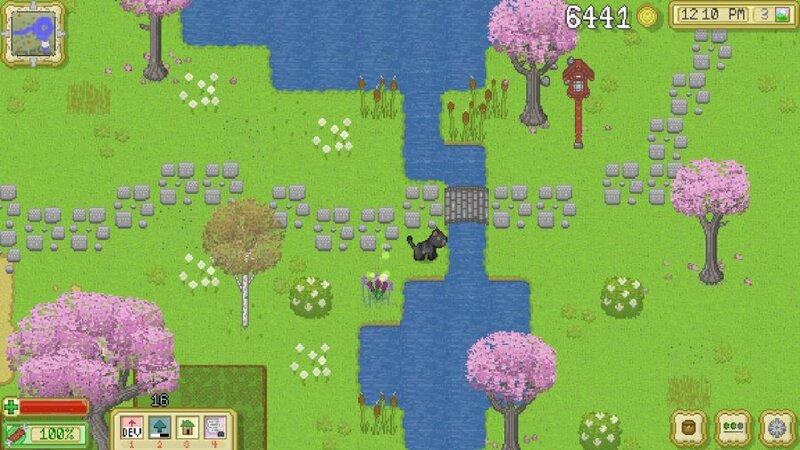 Cattails is overflowing with charm, although some minor issues might rub you the wrong way. The clean, throwback art style grows on you, but it’s functional rather than attractive. Text could be bigger, and while it’s great to have touchscreen for the menus – specifically the map – inventory icons are too small to tap with confidence. Item sprites could be larger across the board – it’s hard to know what you’ve got in your mouth as you’re scrolling through with ‘R’. These aren’t huge problems, but some visual optimisation for Switch wouldn’t have gone amiss. Still, there’s an awful lot to love here if you’re after something to soothe the soul between heavy bouts of Smash over the holiday season. Most impressive of all, we’ve made it to the end of the review without a single cat pun. A few rough edges do little to disturb the tranquillity Cattails lulls you into with its fun mechanics, cheerful writing and lovely soundtrack. Despite the conflict at its heart, you could happily while away hours frolicking in the fields, catching butterflies and chatting with your feline chums. If you’re after something light-hearted to relax with until Animal Crossing arrives next year, this fits the bill very nicely. #isitok that there are more cat themed games on the Switch than there are Mario themed games...? I’ve come to learn a Nintendolife.com 8/10 is probably closer to a 6/10 so I’m gonna wait for a sale. Do you mean to say that there exist other scorelines on Nintendolife than 8/10 ? I'm gonna have to look hard to find some of those. You may have better look finding a needle in a haystack! As the saying goes. @Aneira @mince0 To be fair to NintendoLife, on Metacritic there are 13 Switch games that average over 90/100 and 123 that average over 80/100. As NL don't usually bother reviewing many of the poor games, their often handing out 8s just puts them in the same ballpark as other review sites. Edit: Also worth noting that the vast majority of the Switch games averaging over 80 on Metacritic have average user scores over 7.5, so it isn't just critics who are enjoying these games. Edit 2: I'm not saying that every one of these games deserves 8/10 (although the porting across of most of the best indie games of recent years means that there are a lot of top class indie titles being released very close together), just that NintendoLife aren't really any worse than any other sites. And this is 2 points better than My Hero One's Justice? (Which was apparently worse than the awful SNK Heroines)? Every time people complain about NL giving a game an 8 or 9, I check Metacritic/GameRankings and find out that the game in question has a score in the same ballpark there. Just checked Cattails on Metacritic, and sure enough, the game has a 77 (and this is before NL's review has even been factored in). When you mostly only review games that are like 8s or 9s in quality, then guess what? They're gonna get 8s and 9s in their reviews. Also worth noting that NL's average review score on Metacritic is a 64, which is 10 points lower than average (or a full point on the 1-10 scale). All that said, despite enjoying this genre (and enjoying cats! ), my gut says I would not really be into this game, so I'll be giving it a pass at this point. Instead of complaining about review scores, why not do some more research, see or read other reviews, watch gameplay videos of these games and decide if it's for you? There are critically acclaimed goty contender games out there that's just not for me and there are "average" games that I really liked. Thing is, different reviewers and gamers alike may have different tastes. Thinking about aswell its better they be fairer to a good game than actually give it a 6 (not singling any game out here, nor do i know what cattails is like), but with more purchases come better chance of future updates etc. @BensonUii people obviously still do that, kind of stating the obvious are we not! Instead of getting rilled up over comments not even associated to you, why not read another article instead? Remember folks, take ANY review from ANY site with a grain of salt. A review is not the end all be all of if you should or should not play a game-- YOU decide that whether it gets a 1/10 or 10/10. Most of all, you should be making your mind up based on the review's words to see if a game is your cup of tea. I'm done. With that said, this cat life sim has my attention, but I don't think I'll have the time to invest in it as I would like to. It's impressive and refreshing as it may be similar to Star Dew Valley, but unique in its own right. And well, cats are just so dang cute anyway lol. Neat. Think I'll be grabbing this game soon, as I'm in the mood for something relaxing without having to replay Stardew for the nth time. I read it. I just came across the comments. So? @mince0 Same here its like 7/10 is actually a great game but 8/10 are bad. LOL, in all seriousness though this game looks great can't wait to try it! Everybody wants to be a cat....Because a cat's the only cat who knows where it's at! I thought the review was purrfect. @mince0 Welp, you'd be wrong. I actual met the developers a while back, interviewed half of the husband and wife team (talked with the other off camera) and got to play a lot of their game. After spending time with both the game and the developers (learning of its genesis and the influences for the game) I can tell you that if you are a fan of games like Animal Crossing or even better, a Harvest Moon aficionado, an 8 out of 10 is definitely deserved. If you're not a fan of either or the genre, this game may not feel like 8/10. I give this game's Visuals a 9/10. Stardew Valley did this thing to me that made me be constantly on the lookout for similar experiences. Add kittens and you DEFINITELY have my attention. Nice review. Seems like this is right up my alley, so I'll get it tonight. What I the frame rate of this game? On YouTube videos that go up to 720p 60fps it looks like it stutters and maybe runs at 30 fps in general. This would be almost as ridiculous as Devious Dungeon if it runs at 30fps! I'm wanting to play it, but refuse to get stung with a game that has basic graphics and a crappy sub-60fps performance. ....I'd rather just play with my real cat instead.